It is very interesting to take a few minutes and review some of the most recent LinkedIn statistics. Did you know there are almost 3 million businesses on LinkedIn? Did you also know there are 50 million people visiting the site each week? Those visitors are highly educated, making more money than most, and come from countries around the world and industries far and wide. A smart B2B company would realize the potential business they could garner from LinkedIn versus other social media outlets. The first step to understanding LinkedIn and its marketing power, you need to understand who is on this business networking site first. This will give you an idea of the people with whom you could connect. At the beginning of 2013, LinkedIn announced that it had reached the 200 million members mark. Those members come from over 200 countries around the world. The site gets more than 50 million unique visitors each week. People access the site using 19 languages including English, Malay, Romanian, Russian, Danish, and Japanese. Every quarter, 10 to 15 million people are joining the network. That is about 2 people per second. 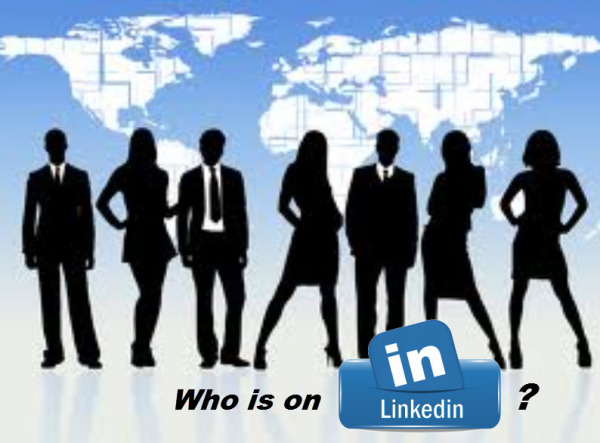 Over 2.8 million businesses have a company profile on LinkedIn. People on LinkedIn have an average salary equal to $86,000 US. On the surface that sounds like a lot of people around the world connecting with companies and people all over the globe. When you start looking at the details of that information, you can start to see the sheer power available in this business social networking site. What countries are most active? In the United States alone, 74 million unique users have accounts on LinkedIn. The other countries in the Top 5 on LinkedIn include India, Brazil, the UK, and Canada. The countries with the fastest growth rate include Columbia, Turkey, and Indonesia. It is truly the international business connection site. What industries are most active? At the top is Information Technology and Services. People and companies in this industry top membership at over 4 million accounts. The other four in the Top 5 industries include Financial Services, Higher Education, Computer Software, and Telecommunications. The top industry only holds 4 out of 200 million accounts. That means that almost every industry has some presence on LinkedIn, with no single one dominating. What age groups are most represented? Most users on LinkedIn come in between 25 and 54 years of age, the prime working years in the modern corporate world. The 35 to 44 years age group leads the way with 23 percent of the users. Those ages 25 to 34 follow closely at 21 percent while those between 45 and 54 have 20 percent. What level of education is most represented? Forty-nine (49) percent of those who belong to LinkedIn have some level of college education. On top of that another 28 percent have graduate school level education. So, a full 77 percent of users have gone beyond high school to some level. Another survey indicated 50 percent held at least a bachelor's degree. Simply put, if you are considering leveraging digital marketing for business growth, Linkedin statistics show that this tool needs to be high on your list of digital tactics.